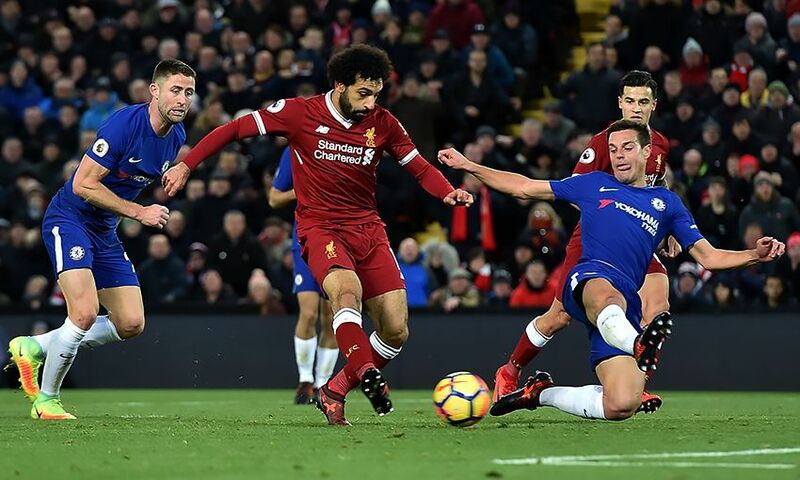 Mohamed Salah's 65th-minute opener in Saturday's 1-1 draw with Chelsea equalled a club record set by one of his current teammates during the 2012-13 season. The Egyptian forward's Kop-end strike against the Blues took his Premier League tally to 10 goals in just 13 games and no player has done it quicker for the Reds. The Liverpool No.11 matched a milestone set by Daniel Sturridge, who netted his 10th Premier League strike with the final goal of a hat-trick against Fulham in the penultimate game of his debut season. The pair sit top of the club standings ahead of the likes of Robbie Fowler and Fernando Torres, who both took 18 games to score 10 Premier League goals. 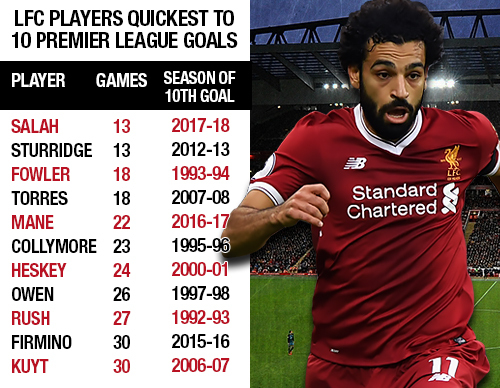 Salah, who has scored 15 goals in all competitions for the Reds, is also the Premier League's leading goalscorer this season, one ahead of Manchester City's Sergio Aguero and Tottenham's Harry Kane, who both have nine.